The first step to installing the Integration Modules it to download them. 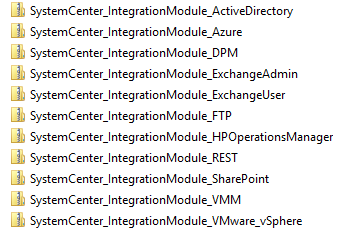 You can get the integration modules here. When you download the modules and open the folder containing them you will see a bunch of zipped files. These zip files contain all the resources for the module that we will need to import. 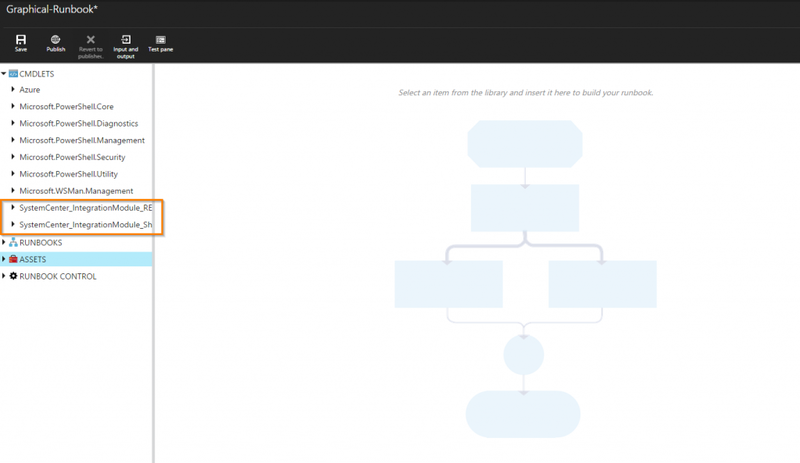 To import these files go to your Azure Automation account and select Assets. In Assets select Modules-> Add a module then select the Zip folder containing the module that you want to upload. 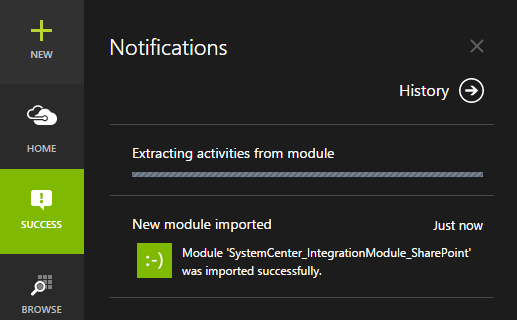 You will then see a notification that your module has been imported and Azure Automation will start extracting the activities from the module. 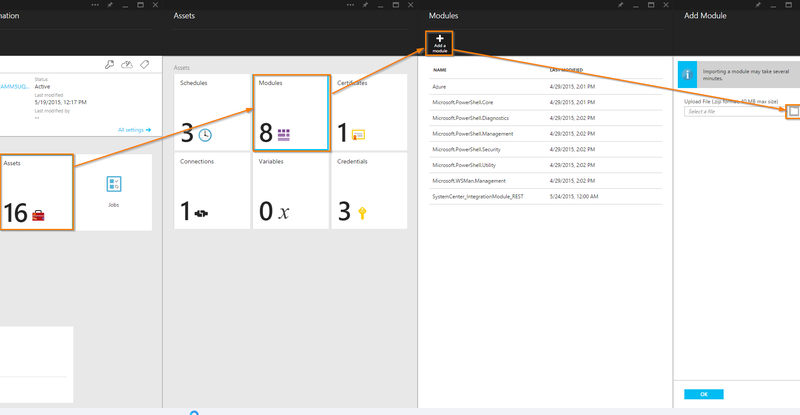 Once this completes your module will now be usable in Azure Automation! Now that you have your modules imported you will see them in the CMDLETS connection in the left hand navigation of the runbook editing screen. If you right click on one of the modules and add it to the canvas in a graphical runbook you will see you can configure the parameters of the runbook and even pass data to them from previous activities just like in Orchestrator. If you add it to the canvas of a textual runbook it will add the PowerShell command to the script and you can then add the variables that you need to pass. Now you are ready to use your modules in Azure Automation!